1 items tagged "Net Library"
Client FTP Net Library born from the experience of over 15 years in the programming world of its creator. The library is very useful when you need synchronous calls in applications or websites that save files via FTP (for example in CMS or profile functions). 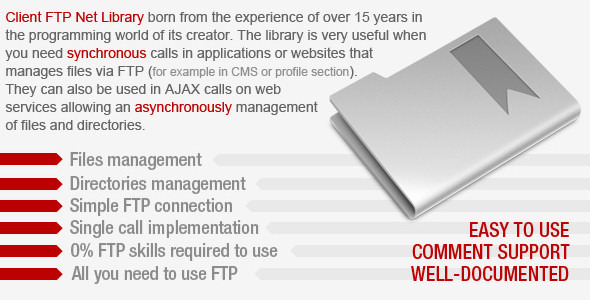 They can also be used in AJAX calls via web services allowing an asynchronously management.